It’s a fact that most local websites are disappointing their visitors who come in hopeful that they will find all the information they’re looking for. High quality websites are few and far apart. It’s mixed news in 2018. The economic meltdown bordering on collapse appears to have either steadied or pulled back to a slow decline. It depends on who’s looking at it. But I’m not naive to say that anything is looking rosy, far from it. Decisions still have to be made but more companies in Trinidad * Tobago are focusing on having optimal websites. It’s no longer a question on whether a website is an expense or an investment. In 2018, ALL companies know they’re dead in the water without one. There is usually no continuity/connection from the point we were sent, i.e., “get details on our website’ but they didn’t put any. The website looks like it hasn’t been updated, usually having months-old news or blog posts. The general design and style of the website looks old and out of date. If you Google ‘website design trinidad’ which is the most coveted keyword in the local web design industry, you’ll get the list of the ‘top’ ten web design companies in the country right there on the first page. I put ‘top’ in quotes because that doesn’t necessarily mean they (we) are the best but the BEST RANKED per Google’s search algorithm. In my experience ALL businesses are willing but few follow through, so web designers are not completely to blame. Site owners generally fail to organize their content, thinking that the web designer will miraculously spin straw into gold. Many websites designed by Forward Multimedia suffer from this syndrome as business owners start off hot and heavy, very excited about getting a website, then ‘boil dong like bhagi’ in a short time. Often I have to wait weeks for content. Website design is both an art and science, a combination of looks and appeal, form and function, optimized for your visitors and search engines alike. When potential customers find you, you want your site to complete the sales cycle and convert that visitor into a customer. Isn’t that the reason why you have a site? For them to find you, they have to search. For them to search they need keywords. When they enter keywords, search engines have to match them with your site. Easy as macaroni pie right? Some actually think so and that’s why you see many sites built using do-it-yourself website builders, free website providers, the cheapest web designer in T&T and the ever popular cousin or pardner who ‘knows about websites’… aargh! Trini to de bone! Some business owners and even top management mistakenly assume that since websites concern computers then they fall within the domain (pun intended) of IT. 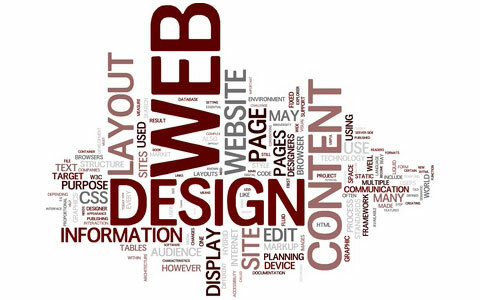 Be advised, website design is its own thing! What are you waiting for? Look at my portfolio, look at my site, read my articles, then pick a website package and HIRE ME! Trini business owners have fully acknowledged the need for business websites and know that they’ll be hurting themselves without them. Though knowledge is power, they accept it in the theory. There is still a lack of belief that a website can substantially improve sales, resulting in not being 100% behind it. There is no standardized or base pricing for websites in T&T as far as I see. From my observations it appears to be based on what the market can bear, I’ve literally seen quotes from competitors for ten times my pricing. As for government quotes, forget it, as it’s usually 100 times the real value. My pricing is based on the estimated hours a site should take plus an additional contingency, and all quotes for custom projects are done in a similar fashion.